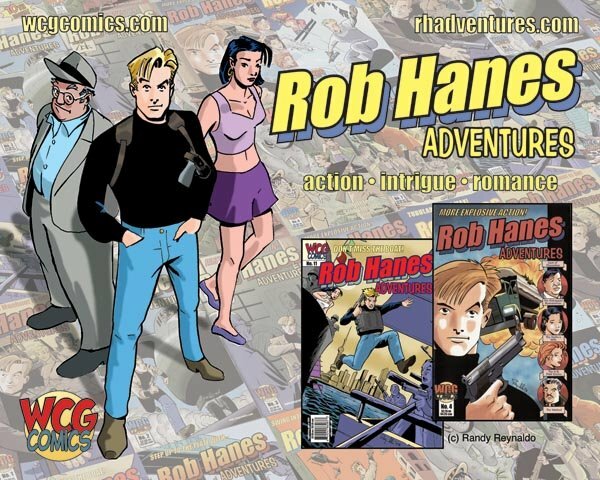 Despite the minor snafus I faced trying to complete Rob Hanes Adventures #11 due to an expired scanner (as mentioned in previous posts here and here), I'm happy to report that I was able to finish the issue on time—it's currently at the printer. 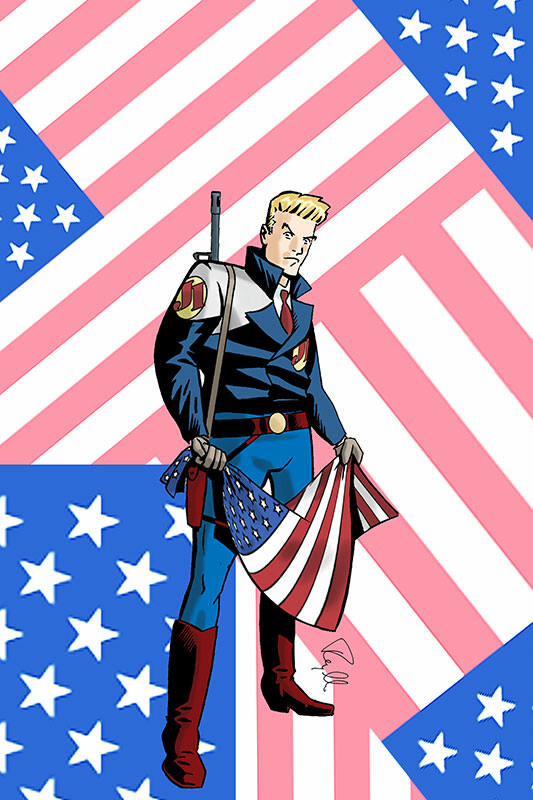 Thus, I can now state with a high degree of confidence that issue 11 will debut at the San Diego Comic-Con later this month. Last year, I purchased a new banner for my booth display (as blogged about here). While I was fairly happy with the banner, it nevertheless was not very user-friendly. The banner stand did not seem very durable or sturdy, using a tension-bar system to remain upright, and it required quite a bit of jerry-rigging to get it to assemble correctly. I spent much of the convention in fear that it would collapse suddenly during the show. In addition, it consisted of two long panels that joined in the middle (effectively cutting the original image in half), and because of its odd construction, the banner never quite matched up in the middle as seamlessly as I would have liked. Here's hoping it will be a bit less high maintenance than the old one and last for many years! Coming next: Tips for surviving the Comic-Con! A preview of my contribution to this year's program! A restaurant guide!